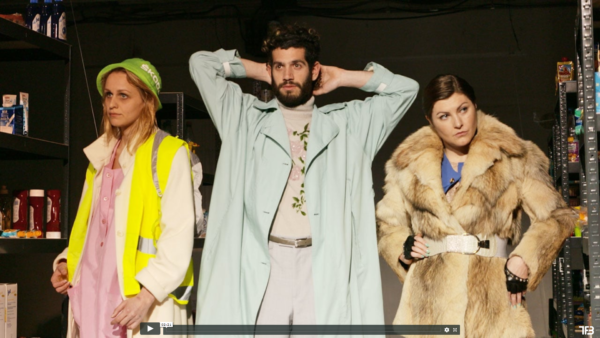 A production by Cécile Bally in coproduction with SOPHIENSÆLE. Funded by the Hauptstadtkulturfonds. With friendly support of KunstencentrumBUDA, Aula/Milchhof, Public in Private and Kostümkollektiv. Research funded by Fonds Darstellende Künste e.V. 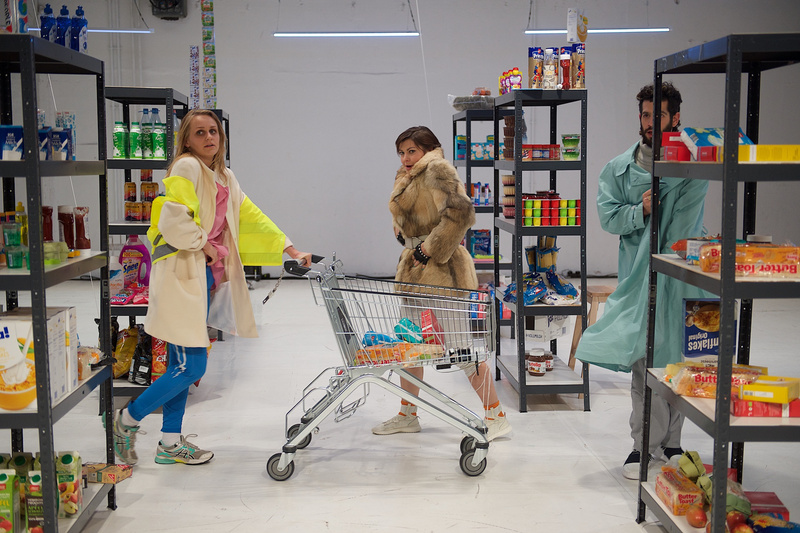 The Price Is Right is a choreographic nightmare, a study of the supermarket – what is sold and what is done in this space? How do we meet each other and what would we dream to encounter there? The work is a critical tribute to a place where we all go, a modern place of gathering and harvesting. 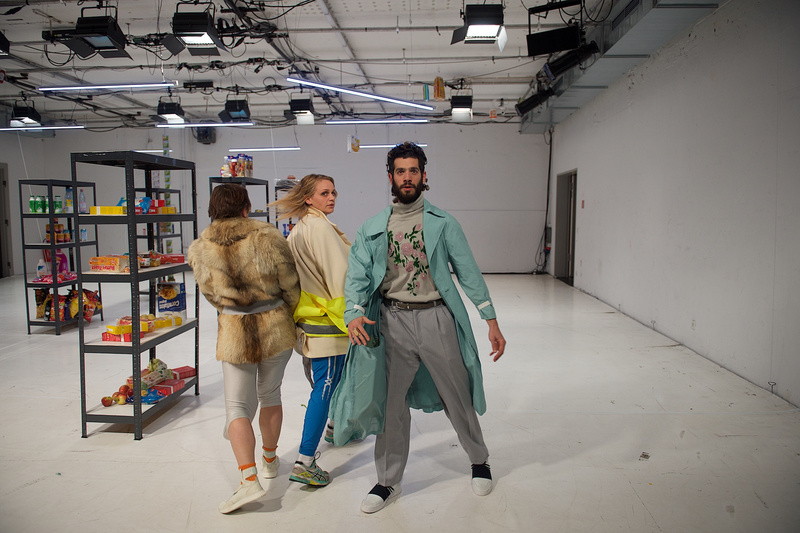 The supermarket is a daily symbol of the consumer society – a visual materialization of the concept of accumulation. It is a place for all and yet a place that segregates, as there are different supermarkets and products for every social class and every lifestyle. The basic principle of the supermarket, self-service, has created a place where people seek contact with objects instead of humans. 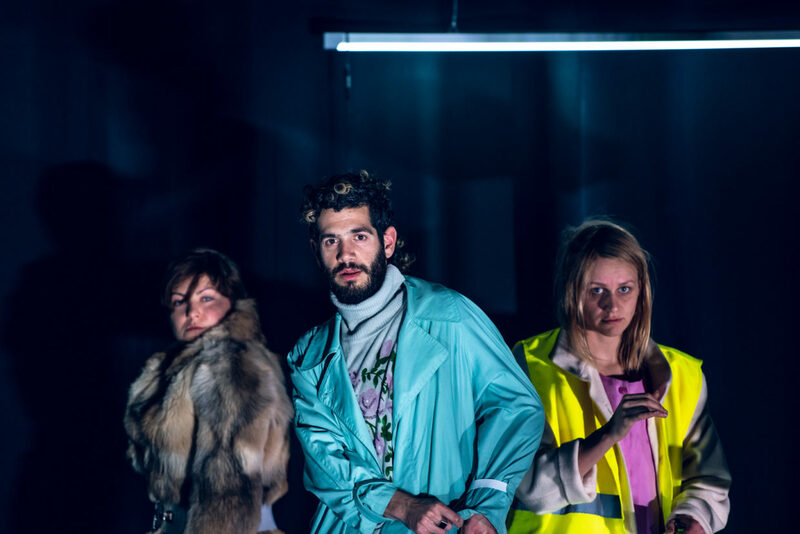 Digging further in her desire to create performances as dreams, Cécile Bally is researching this hyper-normed space that paradoxically stimulates our impulsive desires. The Price Is Right depicts the supermarket as an ideal survival zone, a last resort where one has to deal with prices, promotional jingles, stealing, absurdity and apocalypse.